Introducing the most customizable flame effect technology available! 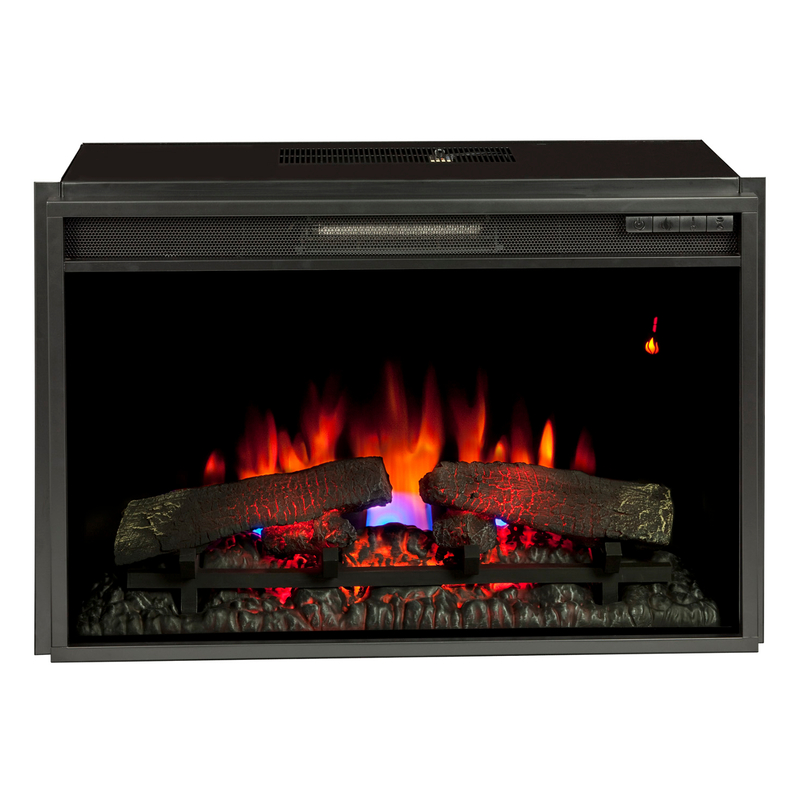 Allowing complete command over a multitude of options, the Classic Flame 26-Inch Electric Fireplace insert offers an unsurpassed experience. New SpectraFire Plus offers an astounding 125 user selectable flame effect options to create the perfect mood and ambiance for any style. Featuring the most technologically advanced control system in the electric fireplace industry with backlit LED display that shows thermostat settings and icons show the status of other insert functions, the EF031 Series delivers on design and usability. Equipped with SaferPlug™ fire prevention technology Continuously monitors temperature of the plug.